On Thursday, the highly anticipated San Diego Comic-Con International (SDCC) will officially open its doors to eager fans. Many of these fans have travelled from across the globe just to participate and bear witness to what’s now regarded as the Mecca & spiritual home of popular culture. 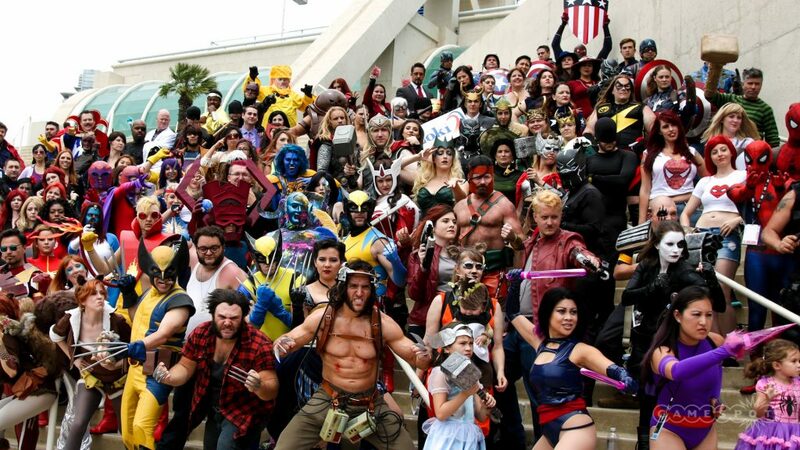 Ever since its creation in 1970, the SDCC founders set out to share with others not only the comic books they loved, but to also encompass other aspects of popular culture that they felt deserved a wider recognition. Originally, this simply included related films and science fiction/fantasy literature. However, in the 47 years that have followed, SDCC has grown into so much more. Its humble fandom origins have now merged with the property owners themselves to provide the perfect environment to engage and entice visitors. Looking at the show today and SDCC includes virtually everything imaginable within the world of pop-culture. Boasting an attendance of well over 130,000 visitors in recent years, what better place is there for brands to engage with their loyal fans? Big names from across the entertainment and interactive-entertainment industries now dominate the show floor. Here, they display their latest offerings in Film, TV, Comics, Toys, Videogames, Collectible Card Games, Anime, Manga and Fantasy Novels (just to name a few!). So, what does SDCC mean for licensing? Well, the show offers a brilliant opportunity for brands to communicate their past, present & future property directions to their core audience. With giants such as Marvel, DC, LEGO, LUCASFILM, Nickelodeon and Hasbro lining the exhibition hall, visitors are guaranteed to flock in their masses. This causes a co-creation of value for all exhibitors via an increased physical footfall. This equates to high brand visibility for properties and increased merchandise sales via the on-site retailers. More importantly however, the hype surrounding the show floor creates a brand awareness potential that’s enough to make any marketing department giddy with excitement. SDCC is an opportunity for brands to announce and debut new IPs via the highly coveted ‘Hall H’ stage. 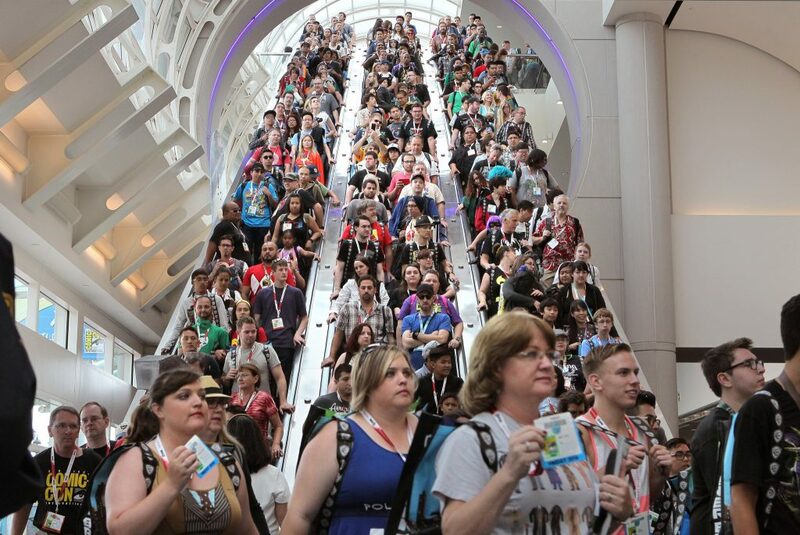 The demand for a seat within ‘Hall H’ is huge, with some fans queuing overnight just to secure a place. With an audience this full of passion, first impressions are everything. By watching the property announcements unfurl, it is possible to see their respective reception from visitors (which is a great chance to gauge initial market interest for these new brands). Whilst fans won’t necessarily have gained an affinity with these brands yet, it’s easy enough to see what IPs pique their interest. With free Wi-Fi being provided by Cox Communications this year, you can expect visitors to be vocal; tweeting their thoughts on what’s hot and what’s not. Positive reception of these IPs will help inject confidence to both licensors & retail; encouraging further product opportunities for licensees in the future. Alternatively, brands can also use SDCC to reconnect fans with their existing properties. Reviving a fans interest in a previous IP is a great way of ensuring the future commercial success of product; tapping into an already established fan-base and embracing their nostalgia and love for a brand. With many of the major entertainment giants promoting new properties this year, SDCC is definitely the place to watch if you’re on the lookout for new properties to work with. To see who’s exhibiting at SDCC 2017, check out the stand map here.